Presenting The S2950: Is It For You? The brand name FujiFilm is no stranger in the field of quality digital cameras, but every company has its off period where they make products that do not live up to the standards to which their customers have become accustomed. In this S2950 review, we are going to discuss whether or not the Fujifilm FinePix S2950 has fallen into the failure category – or if it lives up to the brand in terms of features, design and functionality. The S2950 is surprisingly compact in design considering the long-range 18x zoom that it comprises. It is a lightweight device measuring approximately 4.3 x 2.9 inches in width and height respectively, and a depth of only 3.2 inches. This measurement is of course referring to the device with only its bare essentials. It does not include any of the accessories, such as the batteries and the memory card – but those items do not add much more mass in either direction. The size of the camera is great, but handling the device also takes the weight into consideration. You will be happy to know that without the aforementioned accessories, the camera alone does not weigh more than 12 ounces. That’s less than a bottle of lotion! The on/off switch, the zoom button and the picture mode wheel are conveniently located on top of the camera on the right side. They are easy to access and manipulate while taking a picture. Before and after you take a picture, you can utilize the display settings, menu, evp/lcd and playback buttons to customize your device and pictures to suit you. These buttons are located at the back of the device to the right of the 3.0in LCD screen. The light (flash) is located in a pop out section at the top of the camera and can be snapped back into a little groove when not in use. The flash button is directly to the left. It is used to pop out the flash when needed. At the bottom of the camera, you can find the battery and memory card compartments. Four AA batteries are required. 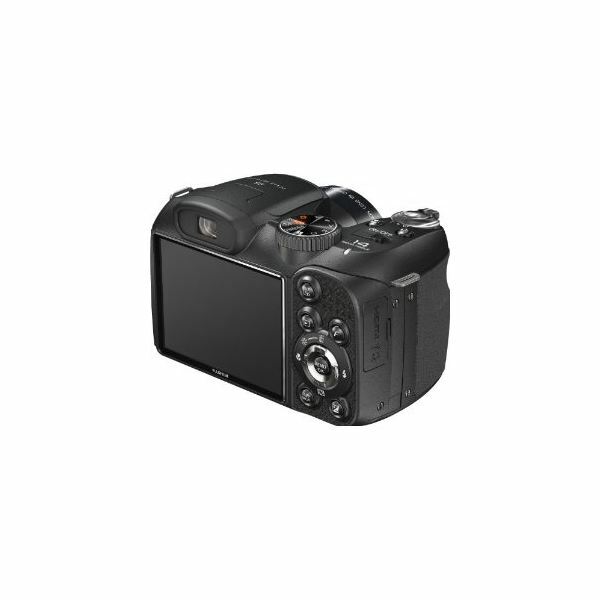 Overall, the FinePix S2950 has a professional design that is conducive to easy handling, carrying and storing. As mentioned earlier in this S2950 review, the FinePix camera has 18x optical zoom. 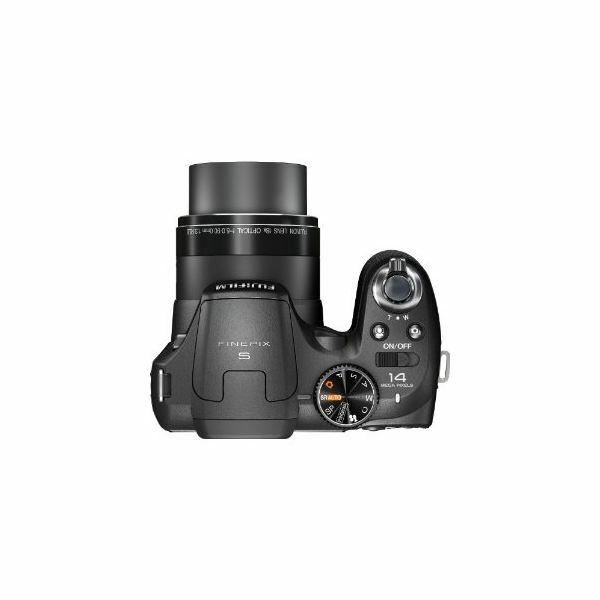 This means that it is equipped with a 18x optical zoom lens coupled with a 3 inch LCD screen with 230,000 dots resolution and a 14 megapixel sensor. Normally, pictures tend to be blurry when taken at such a long-range zoom, but the S2950 is also equipped with high quality stabilization technology that helps to provide you with clear sharp images even when the zoom is maxed. HD capability is quickly becoming a standard feature with new cameras, even those in a low price range and the S2950 has not been left out of that loop. It is HD enabled and is able to show HD images and videos when attached to your HDTV. However, you will need a HDMI cable to connect the camera to your TV via the mini HDMI port, and this is not sold with the camera. It can, however, be easily sourced. One of the niftiest feature on this camera is the Smile and Shoot feature. This is where the camera will wait for your subject to smile before releasing the shutter automatically. This is coupled with the Blink Detection mode, which will alert you if your subject had blinked while the last picture was taken so that you can retake it immediately. Chances are you are a member of the most popular Social Network, and maybe also the most popular video sharing network. If that is the case, you will appreciate the fact that you can tag your pictures and videos from within your camera, so that you save time when you connect to your PC to upload them to Facebook and YouTube. You will need to use MyFinePix Studio to upload them. The fact that the camera has an electronic view finder as well as the LCD makes it easy to use for both the contemporary and traditional photographer. In addition, the menu is very easy to navigate, and manipulation is easy – especially if you have experience with digital cameras. Many digital cameras tend to lag when you initially turn them on, but you can start taking pictures with the S2950 within just a few seconds after it is powered up. The continuous shooting also has a good time range, and cannot be considered slow for this type of camera. This is especially true given the fact that you can choose different methods to do so. The number of pictures that you can take before your camera calls it quits will greatly depend on the type of batteries that you use. If you use lithium batteries, you can take 600 or more photographs before it dies. If you use Ni-Mh batteries, you can take 450 or more images before the battery gives out. However, the standard AA batteries may only take about 300 pictures, but those are still good odds in my book. Ok, I know you want to know about the quality of the pictures. Well, I must say that the pictures seem to be vibrant and clear even when taken at full zoom – but especially when taken at an average zoom. The pictures look great when transferred to the PC, but I cannot speak for how they will turn out if they are printed. I must, however, point out that all the pictures that I am referring to were taken during the day. Some users have reported noisy pictures when taken in low light conditions, but I cannot confirm or deny their findings. 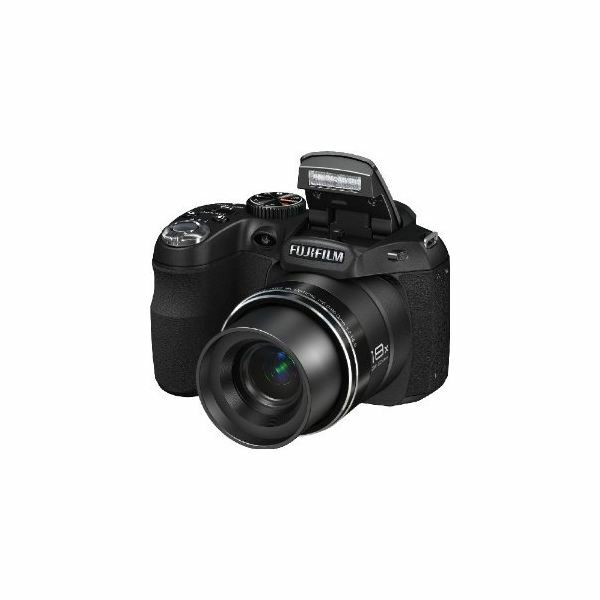 The Fujifilm Finepix S2950 is a nicely designed compact digital camera with a lot of cool features and a long range zoom. It is easy to use and its pictures are great. 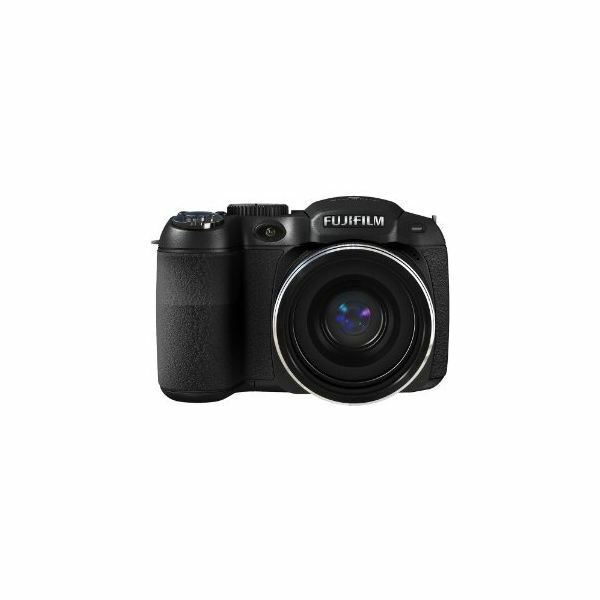 You can purchase the S2950 for as little as $175.00, and I personally think that this Fujifilm digital camera is worth its price when you compare others in its class and the features that it has to offer.